ATTENTION: Boating Organizations in Marina del Rey! For this Special Night Meeting, the Commission invites the Marina’s recreational and commercial boating organizations to give a 2-3 minute presentation on their activities and accomplishments, or any comments and concerns. Submission deadline for presentation materials is Tuesday, April 2, 2019. For more information, contact DSCHCSecretary@bh.lacounty.gov. The Small Craft Harbor Commission is responsible for making recommendations to the Board of Supervisors concerning issues relating to the operation and management of Marina del Rey. While the Commission regularly convenes on the second Wednesday of each month, the Commission has requested that some meetings occur on a different date as reflected in the Department Calendar. The meetings will continue to be held at 10:00 a.m. in the Burton Chace Park Community Room (except as noted on the Department Calendar). Meeting agendas and documents for each monthly meeting are available starting on the Thursday evening prior to a given meeting date. Click here to view the agenda page. The Small Craft Harbor Commission is responsible for making recommendations to the Board of Supervisors concerning issues relating to the operation and management of Marina del Rey. While the Commission regularly convenes on the second Wednesday of every other month, the Commission has requested that some meetings occur on a different date as reflected in the Department Calendar. The meetings will continue to be held at 10:00 a.m. in the Burton Chace Park Community Room (except as noted on the Department Calendar). The April 17, 2019 meeting of the Design Control Board has been cancelled due to loss of quorum. The next meeting is scheduled for Wednesday, May 15, 2019. Prior to the implementation of any exterior modifications or improvements to any Marina del Rey parcel, review and approval by the Design Control Board (DCB) is required. This includes new development, renovations, repainting, signage, re-landscaping, etc. The DCB can approve a submittal as proposed, approve it with revisions, or deny it. Depending on the type of request, additional permits may be required from the Department of Public Works Division of Building & Safety, the Department of Regional Planning and the California Coastal Commission. 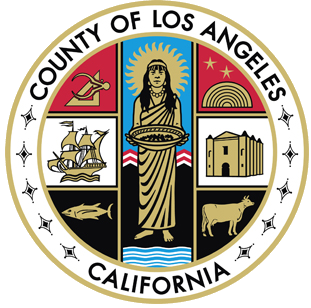 The County of Los Angeles Beach Commission is a 20-member body appointed by the Board of Supervisors. It reviews Department of Beaches and Harbors policies, capital projects and contracts as related to the County-operated beaches. Note: No meetings are scheduled in August and December.